Next is now, world music as the single most potent force in the culture of fusion ... World music-makers are like shamans, carrying us on magic carpets of riffs and melodies through states of consciousness that spin us out of time to lands not yet invented but glimpsed on the aural horizon ... And so we see that music brings us, in the jumping of our cells, from what is past to what is trying to become the future. lt expresses and fulfills our need to hear the spirit in the dark. 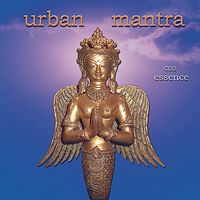 After touring non-stop since 1991, and with CD sales of nearly one million, Deva Premal & Miten are living proof that the power of mantra is as relevant today as it was thousands of years ago. Eckhart Tolle, spiritual teacher and best-selling author (The Power of Now), says of their music, "As you listen, the sacred space that lies beyond the mind emerges naturally and effortlessly." Deva and Miten's music is an expression of spiritual devotion, through song and chant. The couple have been living and playing together since 1991, releasing a string of acclaimed CDs along the way. The openness and honesty in which they share their lives and their music has touched the hearts of thousands of seekers throughout the world. "Our music is born out of meditation and a celebration of life. It's not a matter of entertaining people." says Miten. Deva Premal, best known for her top-selling chant CDs, is a classically trained musician and gifted singer, who grew up singing mantras as lullabies in a German home permeated with Eastern spirituality. From joyous dance to silent bliss, one hour of down-to earth spiritual inspiration from international artists mixing ancient texts with contemporary sounds and beats. Tune in, sing along and elevate your soul! 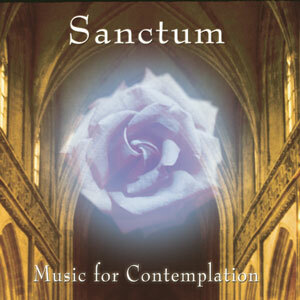 Inspiring music by Manish Vyas, Deva Premal, Sacred Earth, Ariel Kalma, and other spiritual artists weave downtempo background with mantras to invigorate and inspire, to soothe the soul and lift the heart. Excellent for yoga, relaxation and inner peace, or chant along for an uplifting spiritual vibration with universal messages of harmony. Enter a safe haven of contemplation music and peace beyond all pain... Drifting melodies guide you into the depths of your innermost self. Trusting fully, you are lifted by gentle instrumentals (flute, harp, organ, strings) and reverent chants to arrive at the altar of your soul. Releasing the past, you rest in the bliss of Universal Love. Thus healed and renewed, step into the sunshine to greet a wonderful new day. yet the sounds flow together in harmony... like a beautiful mosaic! Music Mosaic: Mullumbimby, NSW 2482, Australia Tel: +61-2-6684 5089 - - All content is � copyright material.